Corvus is expected to deliver the air-cooled battery of type Corvus Orca Energy ESSs in 2019, which will supply electrical power to NES all-electric power and propulsion systems for five ships. Each ferry holds 50 cars and is 67 metres in length. The five ferries will be built in Leirvik, Sogn. All five ferries will be fully operational on four additional routes in Norway by 1 January 2020. When Norwegian authorities specified low or zero-emissions tenders to reduce emissions from the ferry fleets, Fjord1 won the tender competitions with the convincing modernisation of their fleet. Corvus Energy has already supplied batteries for 5 Fjord1 electric ferries operating on Norwegian coastal routes last May, just as Norway announced its intention to create the first zero-emission zone on water. Parliament adopted a resolution to ban emissions in the World Heritage Fjords “as soon as technically possible and by 2026 at the latest”. Emission-free technology solutions required by Norwegian authorities to reduce the pollution from ferry fleets, have put Norway at the forefront of developments in this field. 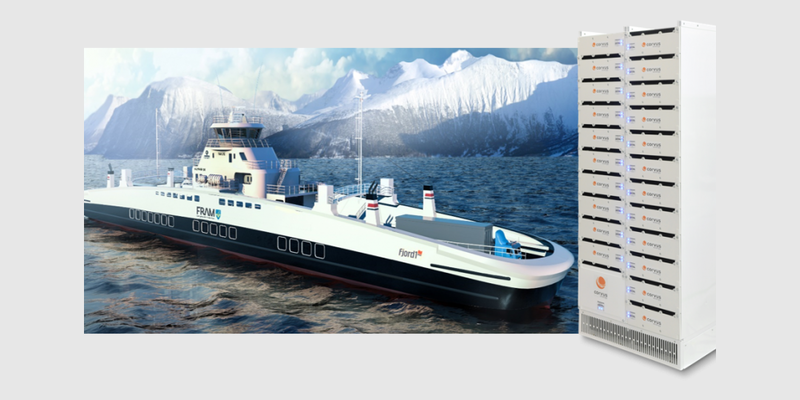 Corvus Energy’s ESSs battery systems have been chosen for over 40 short distance hybrid and all-electric ferries globally.